Stay ocean-side and enjoy many benefits of an oceanfront complex without paying oceanfront prices. Ocean-side townhouse sleeps 6 people with a king in the master bedroom and twins in bedroom 2 and a sofa bed. 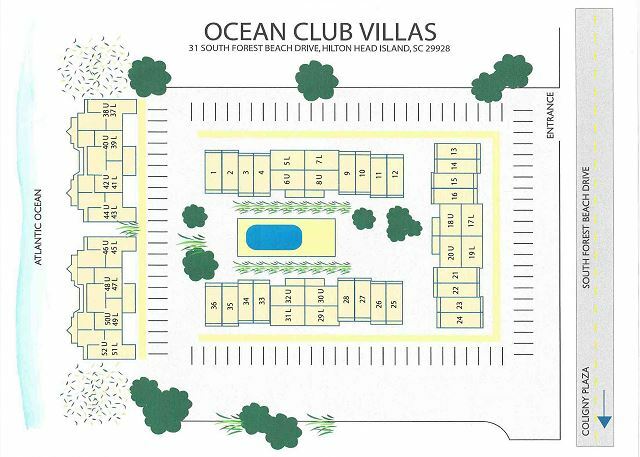 Guests staying in Ocean Club 12 enjoy a landscaped courtyard pool view and won't cross a street to reach the beach. 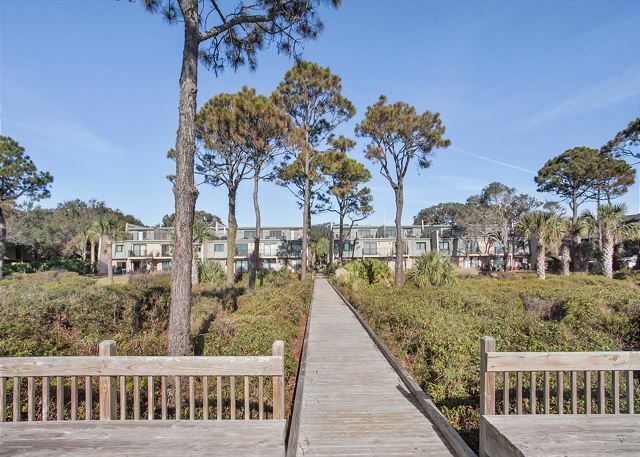 Follow the wooden walkway to and from the ocean or step off your patio and into the freshwater pool. 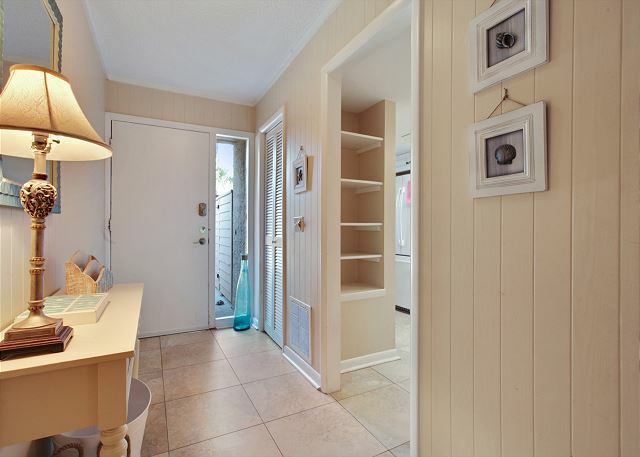 This two-story townhouse is located in South Forest Beach. 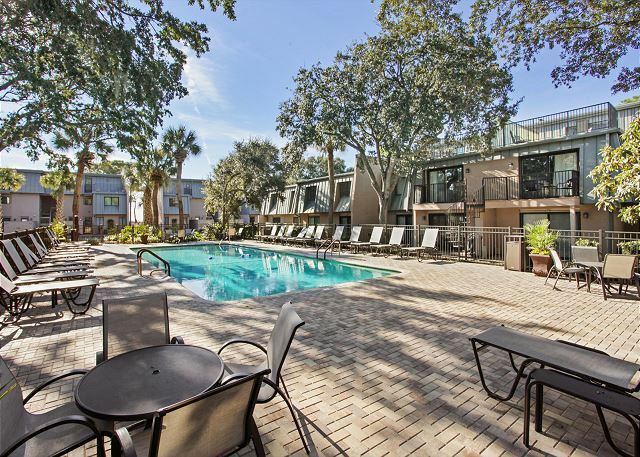 Although Ocean Club has parking in front of each condominium, the complex is an easy walk to Coligny Plaza, the Beach Market, and Beach Park. This quaint downtown area offers guests a wide selection of restaurants, shopping venues, and entertainment for all ages. Ocean Club 12 has been updated with all new exquisite furniture and it is the perfect space to unwind. We had an amazing vacation at this condo. This was our first time to HHI and we could not have picked a better location. The condo was perfect for our family of 3 and had everything we needed. We loved that beach access was so quick and easy and our toddler loved swimming in the pool each night. We did not have any issues that required us to call maintenance but the grounds were beautifully kept around the complex. We would stay here again in a heartbeat! Our vacation was great. Very enjoyable and such a great location. Would definitely come back. The location is close to the beach and in the area of the island close to activities, food, and shopping. The property was clean. I recommend bringing beach chairs, and other beach needs because the property was limited in this area. We have stayed here before and will again. 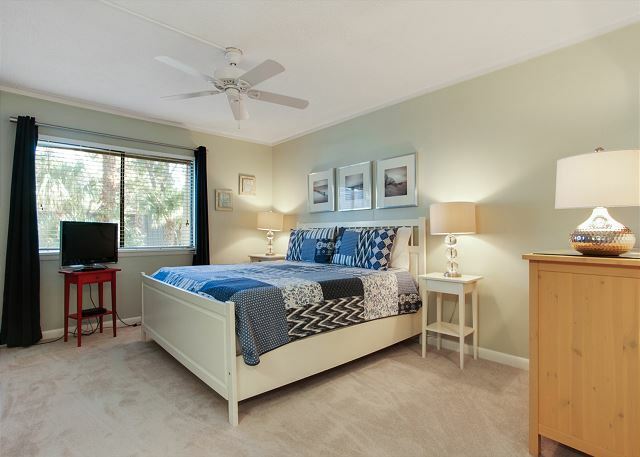 The location is wonderful...right off beach and also close to Coligny Circle. The condo owner is very nice! Seashore Vacations staff are also helpful and kind. Condo was clean and had most of what we needed. Everything worked (appliances, A/C, etc). Complex is family friendly and well kept. Pool is shaded and lovely. For the money we paid it would have been nice if the rental company stocked enough tissue, toilet paper and trash bags for the week. We also missed having a can opener. But those things were easily solved and would not stop us from choosing this again. Thanks for a fun week! The condo was clean, everything we could have needed was available to us. Newer/updated furniture, nicely decorated. 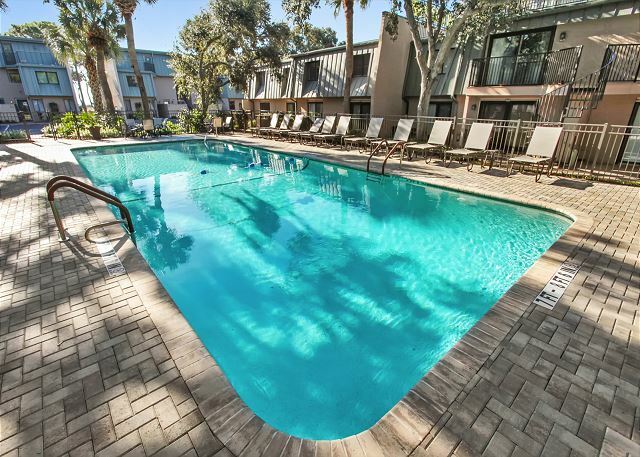 Location is ideal - right outside the heated pool, and a 2 minute walk to the beach, and far enough away from the packed crowds at Coligny beach. We loved our stay and hope to come back! Nice location, condo and pool for family with children. Great place to stay, location to Plaza, pool, beach access. Size of pool was good. Master BR cable not working and the TV remote did not work upon arrival. Maintenance Co. came out quickly but could not provide new remote until Monday. The fold out couch had food in it upon making up the bed. That should be checked by cleaning staff on a regular basis. It could use a thorough cleaning too.(ex. behind furniture) I look under furniture and beds before leaving to check for lost items. An extra hand towel in the kitchen would be a plus! But overall, a great place to stay. The owner and rental co. were great working with me scheduling our vacation. Owner was awesome working with us. Very nice rental. Had everything you need except we couldn't find a dust pan. 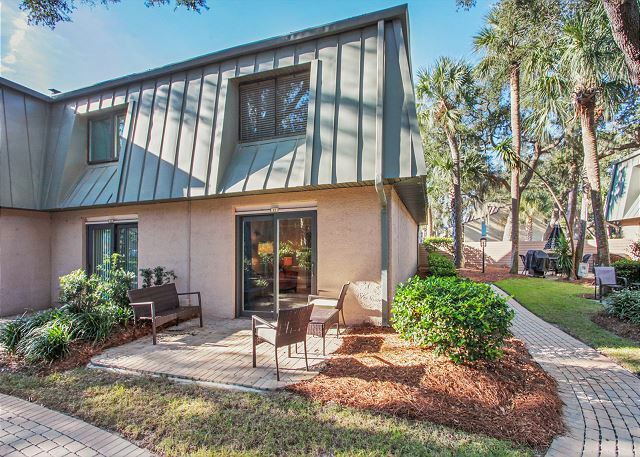 Great Location to beach, pool, and other activities--biking on the trails or the shops at Coligny Circle. This rental was great. Extremely convenient location. 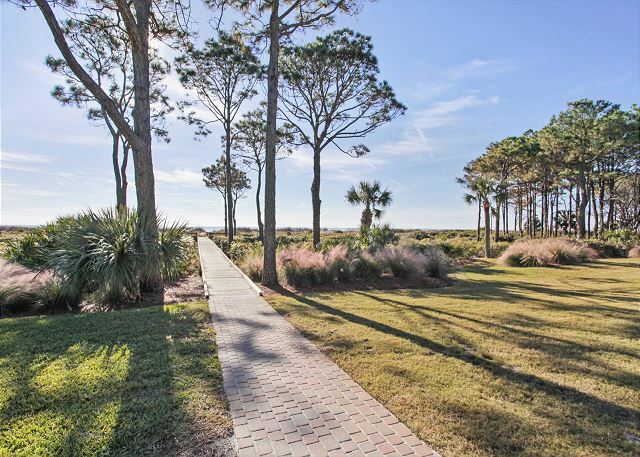 Short walk down private boardwalk to the beach, steps away from beautifully designed pool area, parking right outside the front door, quiet, walking and biking distance to restaurants and shops in Coligny area, Jan the owner was very responsive and friendly with good information about the area. Townhouse was spacious and clean. Wifi signal was a little weak, but other than that, everything was great. Great stay at Ocean Club 12! We had a great stay at Ocean Club 12! It was very comfortable and had everything we needed for a great vacation. The pool is right there and so is the beach so we couldn't ask for anything more! The townhouse was perfect for a family of four. The beds were top of the line and ideal for a comfortable nights rest. It was very roomy and extremely comfortable. The beach was easily accessible and very close walking distance (even with your hands full of beach chairs and a cooler). 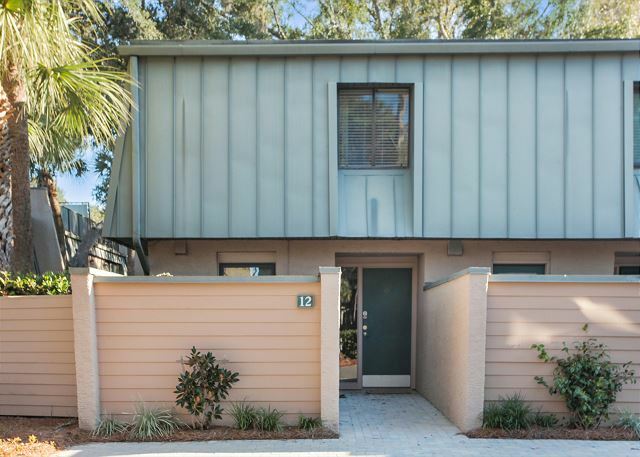 Also the townhouse is in an ideal location - extremely close to Coligny Shopping Plaza - we had quite a few evening we would just ride the bikes to get dinner. We had an amazing time for our first stay in Hilton Head Island. It was good. We were pleased with the Unit - the upstairs bed was a little uncomfortable. The condo was very nice and representative of the advertisement. Bedrooms were good size, comfy beds, well appointed kitchen very close to the beach (& pool). A great value for sure! We've stayed at Ocean Club 12 for about 8 years now. We always have a great time! The unit is located close to good shopping locations and good restaurants. OC-12 has been updated with nice features. We like having close access to the beach. Thanks for another great vacation week! We have stayed in the Ocean Club condos for 4 years and this has been the nicest/most updated unit. 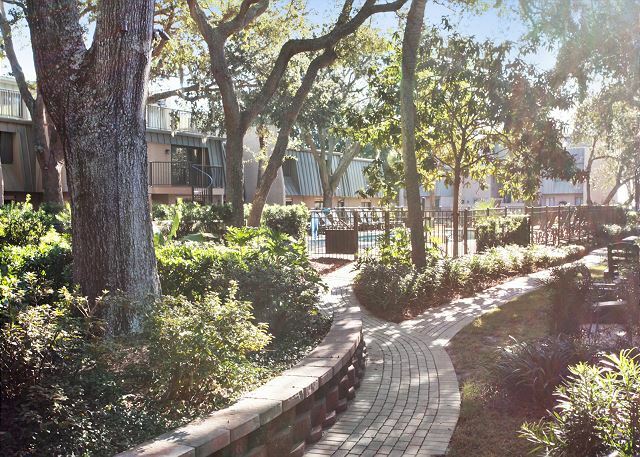 The complex is steps from the ocean with a beautiful pool and courtyard. This is our second year staying at the same unit. We love it. We have two small children and the condo is well suited for children. The beach is Stella behind the condo and our back door opens up to the pool and courtyard area. The kitchen is stocked very well and the dishes are in excellent shape. The washer and dryer are really small and could use an upgrade but it is nice just to have the laundry option in the condo. This visit one night there was a really rowdy crowd at the pool but it was one night and the rest of the stay was quiet at night for our kids. I highly recoknend Ocean Club specifically unit #12. The owner is very responsive to any and all questions. Overall experience good because of the location to the beach and pool. My one request to have someone service the front door went unheeded. The weather stripping was gone so you could see the outdoors under the door, therefore any insect or creature could enter the condo. Secondly, the outdoor furniture was unusable because the cushions were wet and dirty. We had a great time for our short trip to Hilton Head! This property is in a perfect location just about as close to the beach as you can ask for and a short bike ride from shops and restaraunts! Wifi worked great - which is important to us. I would absolutely recommend this property. 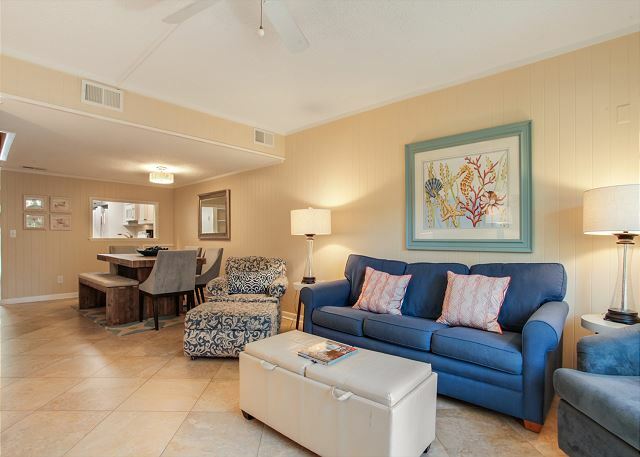 We had a wonderful week at this condo in Hilton Head. 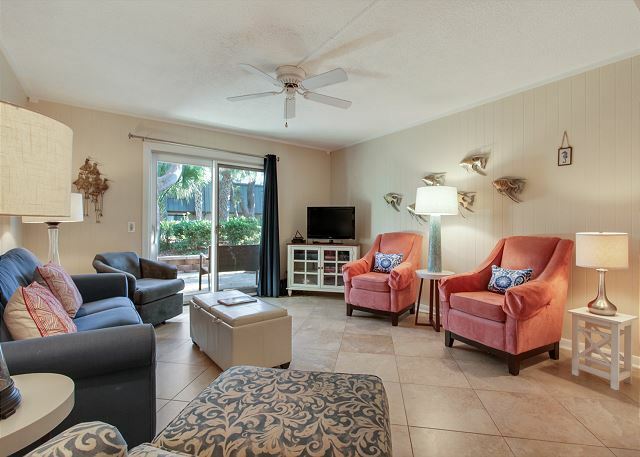 An easy walk to the beach, the pool just steps away from the patio, and lots of room to spread out and relax. Very nice updated kitchen and bathroom. Would recommend and stay here again. We did enjoy our stay last week. It was a little noisy due to some construction in unit 11 that we didn't know about, but they did keep the noise down to a minimum. We will be back again! 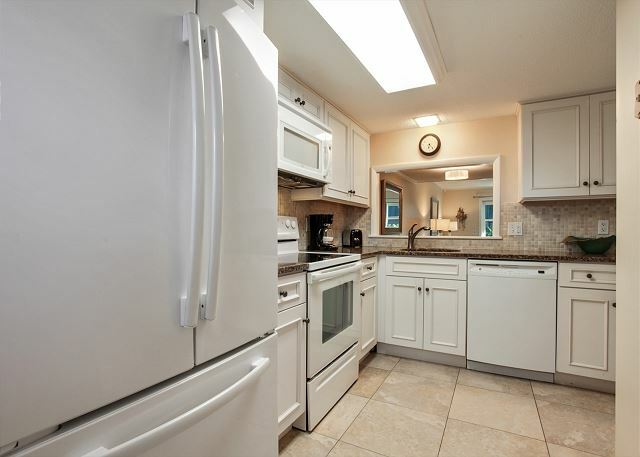 Very good location, everything we needed, clean, and the property is well maintained! I highly recommend this condo!!! It was clean and spacious. We had 2 small kids with us and we had plenty of room. The kitchen is well stocked as well. The pool is a stone throw out the back door and the beach access walkway is maybe 100 feet from your back door. What is great too is this area of South Forest Beach was not crowded. It was quiet and the few people on the beach at this area every day we went were older. 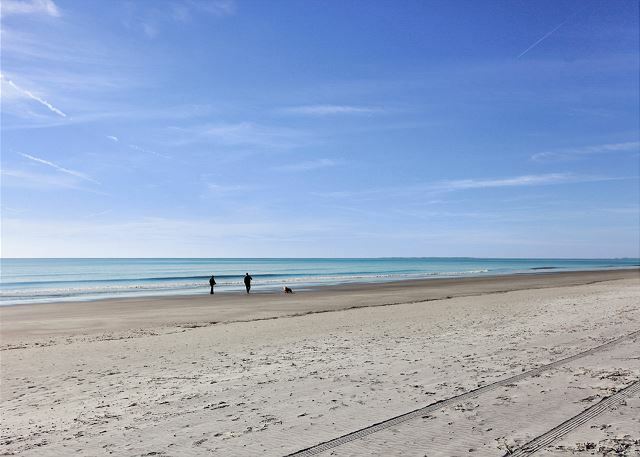 It is a great area for families or if your idea of a beach is quiet relaxation. This condo is definitely a great choice and we are planning on returning to the same unit next year. Great location. Close to the beach,restaurants,and shops. I should say that we were part of a larger group and needed a couple of extra beds close to the house we rented, only using the unit for sleeping. Location good, just a little south of Coligney Circle while the kitchen (though not used by us) and baths were nicely updated. 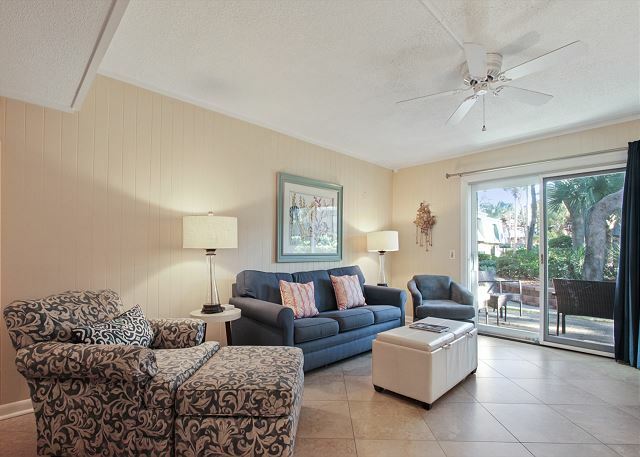 While this condo has no view of the beach/ocean they are a short walk away. Pool area looked nice though we were there too late in the season to use. 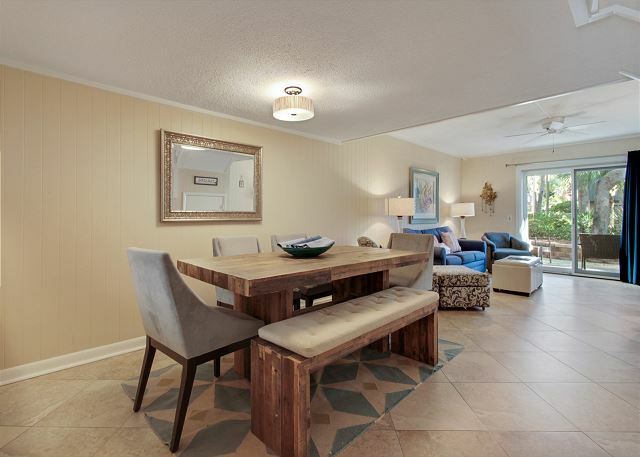 Lovely condo with a very close proximity to the beach! 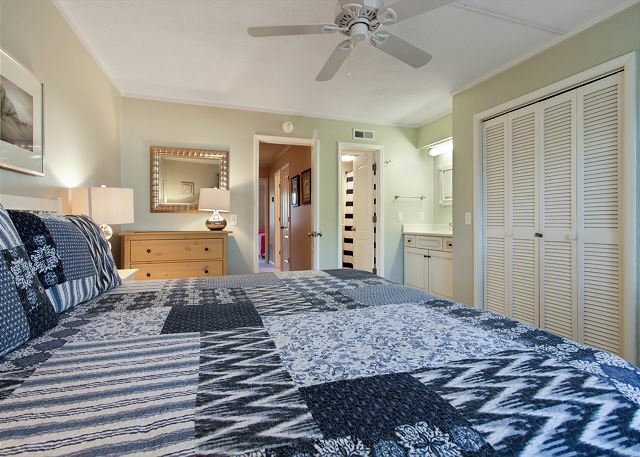 This condo is very clean, tastefully decorated and close to the beach, shops and restaurants. It had everything we needed and would highly recommend it! We enjoyed our stay in your rental for the second year in a row. We liked all the updates made from the last time we were there. The condo was cleaned and ready for us when we arrived. We appreciate you letting us stay from mid week to next mid week. 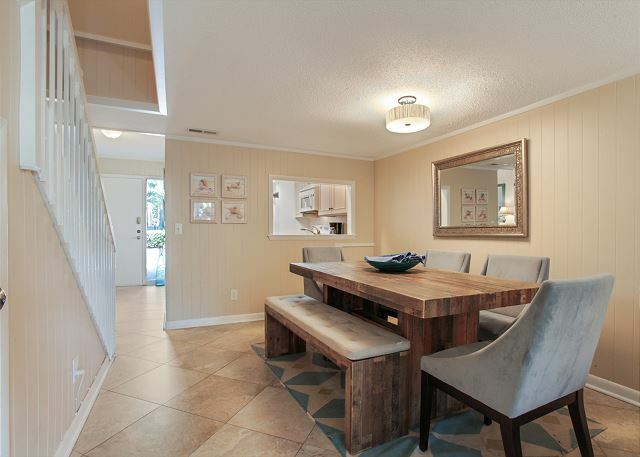 This town home was lovely, quiet, close to a beautiful beach and very family friendly. Any qualms we had were very minor. The town itself was well kept and we loved the bike trails. We also really enjoyed the Discovery Coastal Museum and the kayak trip we booked through them. We would definitely return. We had a great week staying at Ocean Club 12 once again! The unit is spacious enough for us, and everything is kept up-to-date. 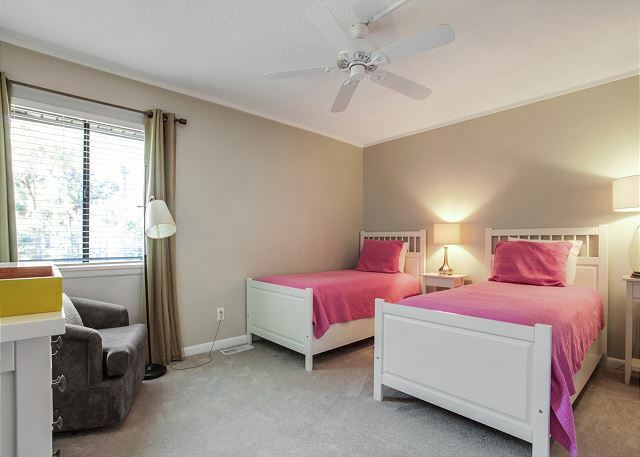 We are in walking distance to shopping and restaurants. We did have some repairs while we were there, but they were handled promptly. We enjoyed our stay! 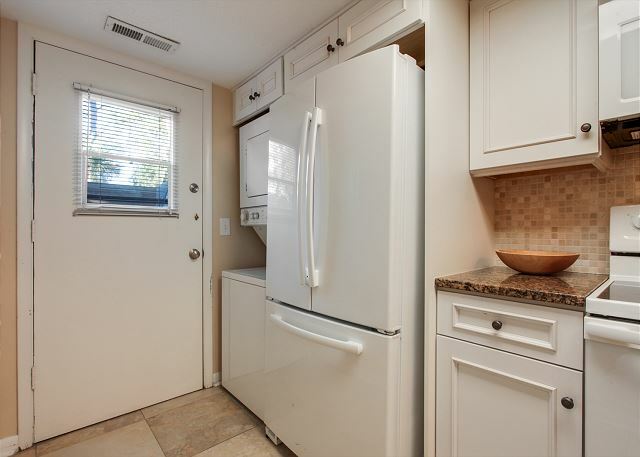 Nice, clean & convenient beach condo - home away from home! We had a great rental experience. Excellent communication, easy booking and registration process. We were very satisfied and would stay here again. Excellent vacation! Good weather and yummy seafood. We had an airconditioning malfunction and the people from seashore came right over and a technician was there within the hour (at night 8:30) and fixed the problem. We really appreciated this kind of customer service. Outstanding condo and location! I give it my highest recommendation. Stay here! Owner is super friendly, organized and helpful with tips about Hilton Head. Same for the rental company that manages this property. We stayed for a week from June 28-July 5, 2014. It was husband, two older teens and me. Condo was clean, comfortably furnished and had lots of little extras like books, things to cook with, some beach toys, etc. Ocean Club property was beautifully landscaped and well maintained. The location was the best. We were steps from the pool and very close to the close we could go back and forth all day. We could bike and run from our front entrance all over the island. Coligny Plaza with shops and restaurants was a 5 minute walk away. We were allowed to join Players Club gym for $40 for ALL of us for the week and it was a 5 minute walk away and was very nice. A grocery store was only a 5 min bike ride away, too. Everything we did on the island was 15 min or less by car from where we were. I rented our bikes and beach equipment from Low Sea bike rental...they were great and competitively priced. We went kayaking off Simmons road twice...good people to work with there. If you stay here you will not be disappointed. We knew Ocean Club 12 was a special place based on the pictures and description online. When we arrived, it was better than we expected. The Pool is very close. The kitchen has everything you need. 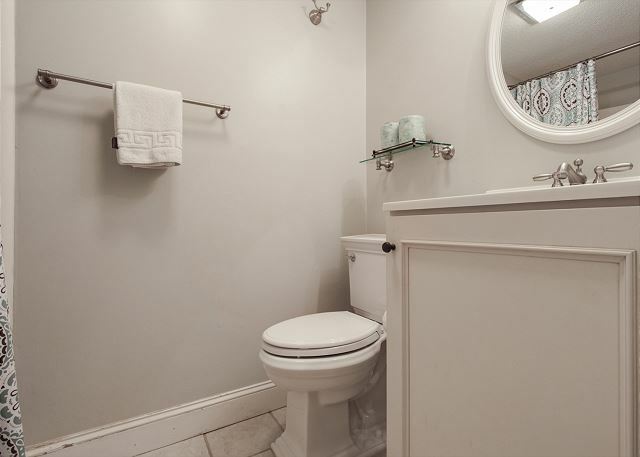 The townhouse is very clean and like new. We definitely want to come back again. It is also walking distance to so many great places. Great family area. The condo was located very close to the pool. Which our children preferred over the ocean. There were several other families staying the same week and our girls quickly made friends. Only odd thing was in the bedroom with the twin beds, one of the beds blocked the door from closing completely. The bedding was less than desirable also but we managed. We enjoyed our stay and will be back. Our family had a great vacation. The condo was nice, clean and in a perfect location. There were no surprises upon arriving which is always a plus when trying out something new. The unit was exactly as described. Access to the pool and beach was very convenient which was great for the kids. Already looking forward to going back. 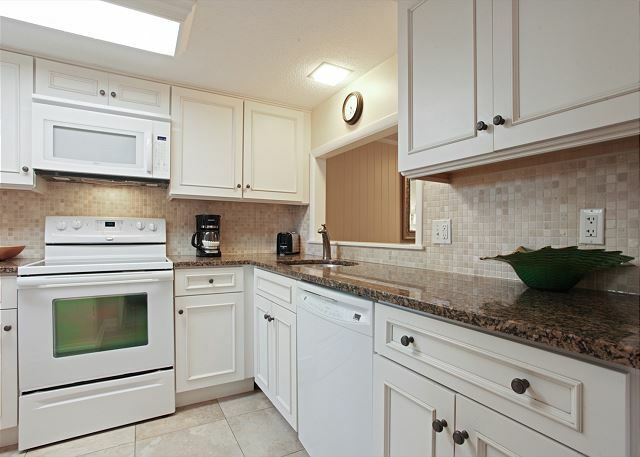 The condo and complex was in great condition and prime location. 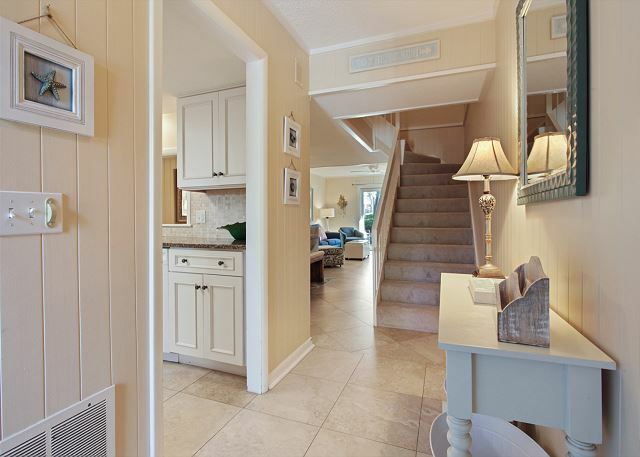 A 2 minute walk to the ocean and 10 minute walk to Coligny. The owner was very responsive and accomodating to work with. We would stay here again next year. The only thing it could have had was beach chairs. The condo was nicely decorated, clean, well kept and in a great location. Easy access to beach. Would definitely come back again!! In a word (two), I would describe the property as completely adequate. Everything exactly as described in add, no surprises. Nice distance from main business square and entry to beach -- close enough for convenience and far enough to thin the crowd on the beach. Property could be improved with a BBQ, some nicer patio furniture, and a stereo of some sort. Nonetheless, the property is a good value in an otherwise pricey neighborhood. We had a great week in a beautiful place!! We had a girls weekend at Ocean Club 12 and had a wonderful time. The location was perfect for breakfast at Coligny Plaza and dinner at Salty Dog. Beautiful beach, great condo. Very comfortable condo which made our vacation enjoyable. Easy walk to the beach and close to the swimming pool. All the kitchen supplies you need if you would like to cook. We had a wonderful vacation. The location was perfect and the access to the beach was ideal. If I had to make any suggestions, they would be to clean the garbage cans at the pool on a regular basis and have a grill at Ocean Club 12. Thankfully we we went with another family and they had a grill to use. Ocean Club 12 is highly recommended. It is a beautifully decorated villa, quiet end unit with easy ground level access and steps to the beach. Centrally located to everything you need. We really liked the unit and would stay there again. It was updated and we liked that it was the end unit. Maybe we got there too early but we found the dishwasher completely filled with dirty dishes and all the pots & pans needed scrubbed before we could use them. The master bed was very comfortable, the kitchen was stocked with adequate dishes and supplies and all appliances worked well. This is the second year I have stayed at this property and again it was a pleasant stay. The place was clean and comfortable. I loved being able to park right in front and not having to lug things a mile. 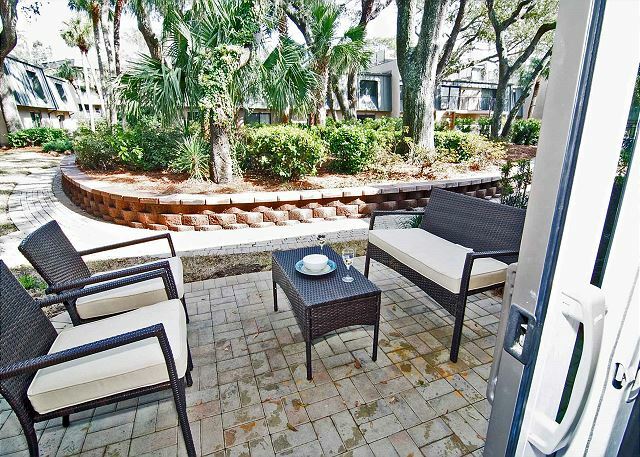 The back patio is quiet and close to the pool and not far from the ocean. The resort is quiet and peaceful and no one intrudes on your space. I would reccomend this rental to others. 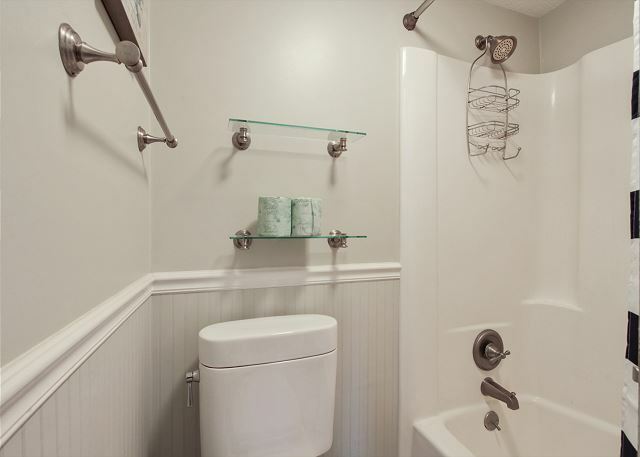 Everything one needs is here...Clean and centrally located. Only thing lacking is light shining on entrance to Ocean Club. If you arrive at night, it is hard to see the sign. This was our 2nd stay in this unit. The location is ideal and the condo is very clean. Only suggestion: an area rug in the living room. The tile looks nice but isn't very comfortable for children. The only thing we were not satisfied with was the quantity of dogs that were around us. we smelled dog poop the entire 9 days. Nothing like laying out at the pool smelling dog poop all day. We never saw a pile .....they must have thrown it in the bushes. I would recommend not allowing pets. I saw people taking their dogs out to walk around the courtyard all week and not once did I see anyone with a pooper scooper or bag for cleaning up. Really liked the place and would probably go there again. But there was a very bad smell around the pool area. Did not enjoy walking by it to the beach. Other than that we enjoyed our stay there. We enjoyed the property and would recommend it. One suggestion would be to make the rear entry a keyed entry so you can come and go through the rear. Easier pool and beach access. This unit was extremely clean and we loved EVERYTHING about it except that we had wanted an ocean view from at least one window. We had the choice to look out at the parking lot or landscape in back. If I could set this unit ocean view, it would be the perfect condo. 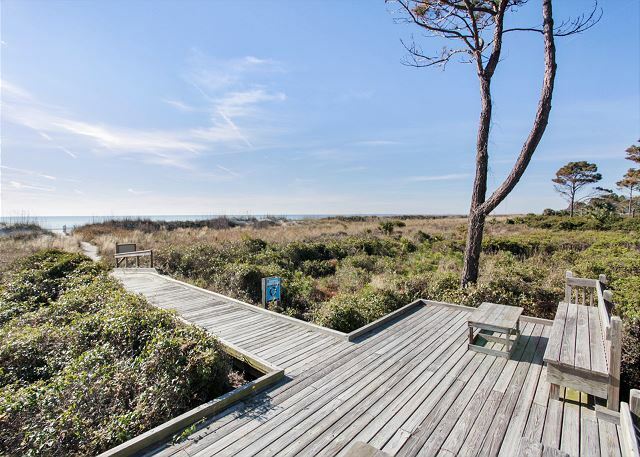 It is extremely quiet; close enough to easily walk or bike to Coligny or the beach but far enough away so that you don't hear any noise at all. Seashore Vacations Rental Agency always does a splendid job! Would highly recommend them to anyone looking for a positive vacation rental experience! My daughter and I really enjoyed ourselves. It was a perfect place to stay. We had everything we needed. The location to shops, eating spots, and the beach was great. Thank you. We hope to come back. Our only concern is that of security. This is our first HH rental without guards or gates. An entry property sign says there is security but we have yet to see anyone driving or walking through. However,we have not had any security issues so far. Property management folks are great!